S'well stainless steel bottle painted with a Galaxy theme! Each bottle is one-of-a-kind and perfectly unique. 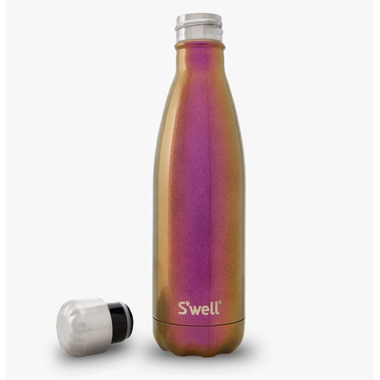 S'well water bottles are water bottle, re-imagined! Re-engineered. With a stylist. A bulky camping canteen no longer, now a sleek, portable hydration vessel. Not only providing liquids on the go, also a gleaming fashion accessory. All this while saving the planet from plastic waste and providing clean water to those in need. 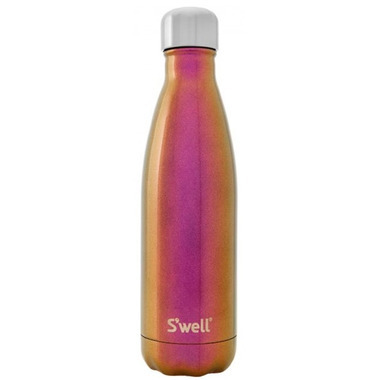 Love my s'well water bottle. It keeps things cold as promised. I LOVE this bottle! It seemed a little pricey but after hearing rave reviews from a friend I decided to treat myself and I couldn't be happier. It seals really well, keeps my water ice cold for HOURS, feels great in my hand and it's just really pretty to look at. I had been on the hunt for the perfect water bottle for ages and I can safely say I've found it! Heads up though - the mouth isn't super wide so you'll want to take that into account when it comes to cleaning it.